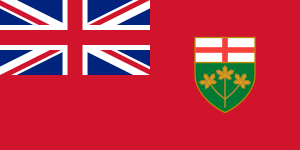 This page list the best Ontario web hosting services available at the moment. If you want to host your website in Ontario, one of the following Ontario web hosting company will fit the bill. We’ve ranked the following website hosting companies based on price, quality of service, features and options available, up-time and technical and customer support. GreenGeeks offers green web hosting. All of their energy comes from 300 percent renewable sources which means they are a certified green company. Their green web hosting includes unlimited email accounts, bandwidth, disk space and databases, which means your site is not limited and can grow with your needs without having to upgrade plans. Green Geeks also offers free site transfers so that you don’t have to spend hours moving your website. Green Geeks also boasts an uptime of 99.9 percent which means your site is live and available for visitors and customers all the time. The servers of GreenGeeks Canada are located in Toronto, Ontario. Moreover, they offer a 30-day Money Back Guarantee. 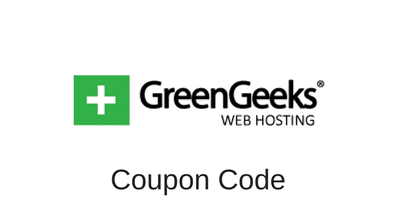 Get a 60% discount when you purchase a new GreenGeeks's web hosting plan for your website with this GreenGeeks coupon code. HostPapa is a 100 percent green web hosting company. All of their power comes from renewable energy sources, which means they have a very small carbon footprint. Host Papa offers traditional web hosting for individuals and businesses and web hosting accounts for web hosting companies. The standard web hosting account features unlimited hard drive space, bandwidth and domain names plus one lifetime domain name. The setup is 100 percent free and includes web creation tools. Host Papa also offers a 30 day guarantee for anyone who decides that Host Papa isn’t the right web host for their individual or business needs. This is why we recommend it as potential Ontario web host option. MyHosting provides web hosting services that are great for businesses and individuals. Each hosting account includes unlimited hard drive space, file transfers and domain hosting plus one free domain name and Outlook for email. Each account also received a minimum of $25 for Google, Yahoo and Bing advertising purposes. All of their services are provided via cloud hosting servers that allows for the resources of the server to be balanced and available 24 hours a day seven days a week. Technical support for all websites is also provided seven days a week 24 hours a day. They even operate on holidays. MyHosting is a great option for web hosting in Ontario. Receive a 50% discount when you order a shared hosting plan - Personal Website, Business Hosting or eCommerce Hosting - with this MyHosting Coupon Code.